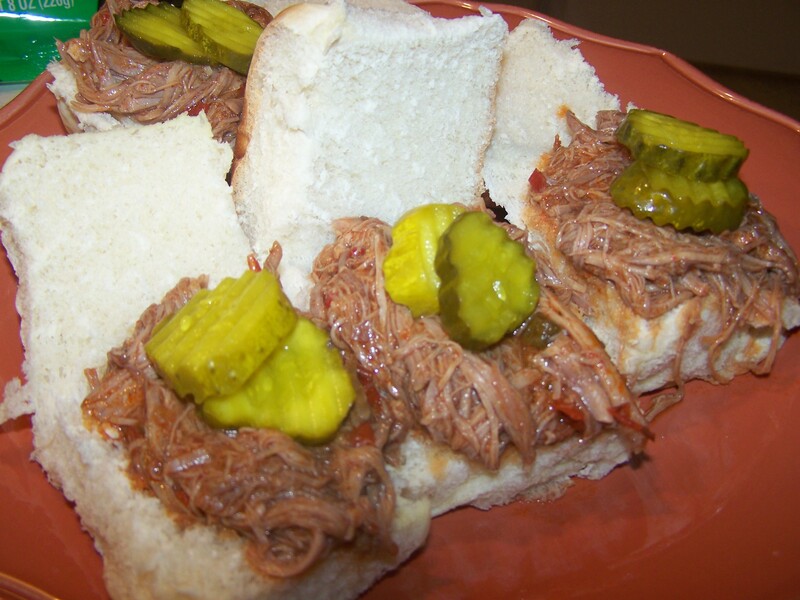 I don’t use my slow cooker nearly enough, but when I do, I always enjoy it. 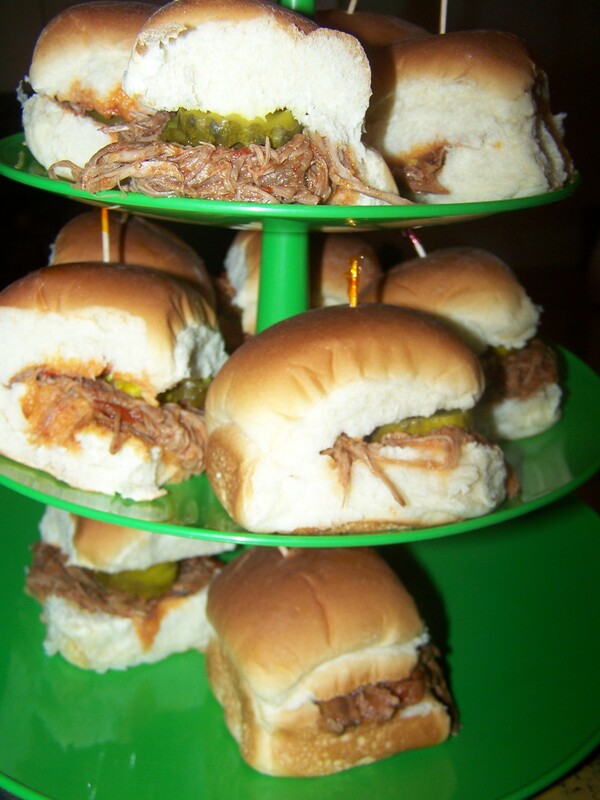 To make Hot Pepper BBQ Pork Sliders, purchase a 3 pound pork shoulder, trim the fat and place it in your Crock Pot with chopped bell and jalapeno pepper. 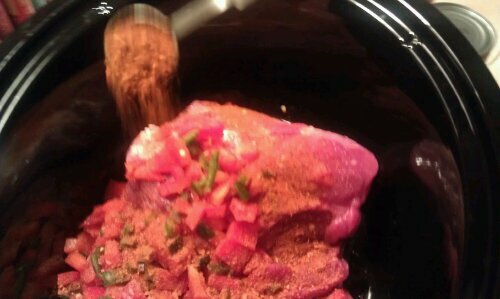 Season with 2 tablespoons of fajita seasoning. Pour two 10 oz. 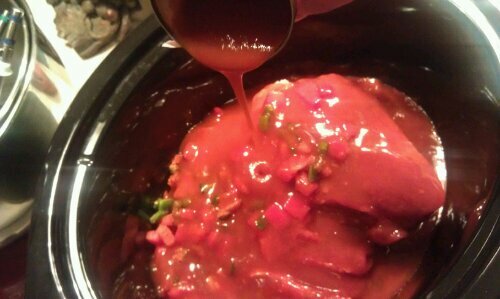 cans of enchilada sauce over the seasoned meat and peppers. You can find the sauce in the international section of your grocery store. 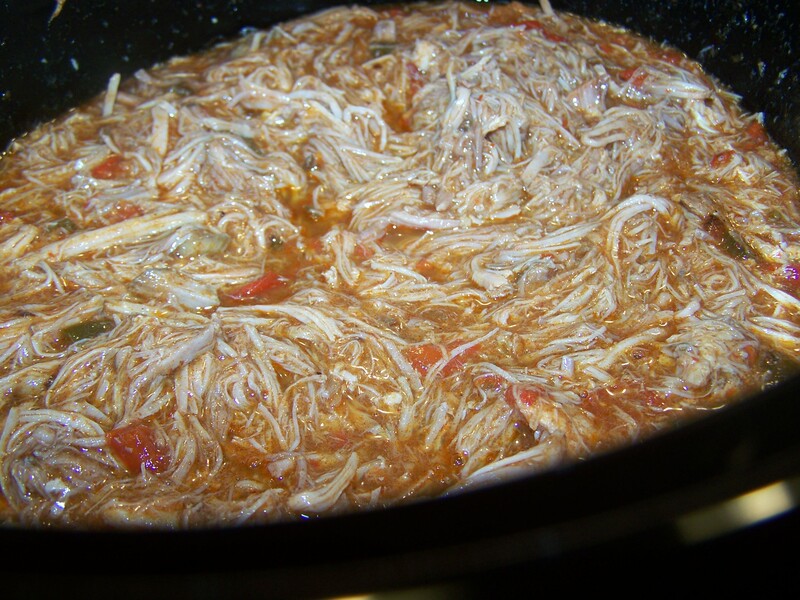 Put the lid on and let that puppy cook! 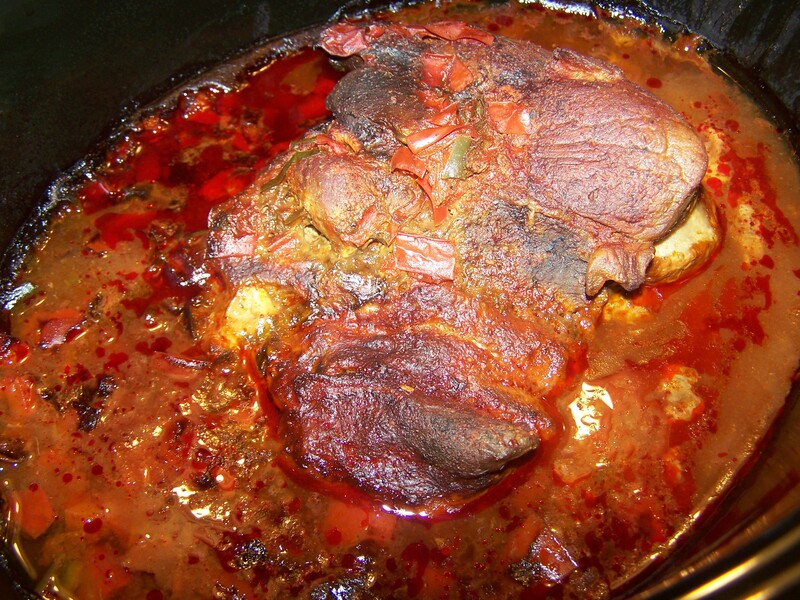 Add the meat back into the sauce. 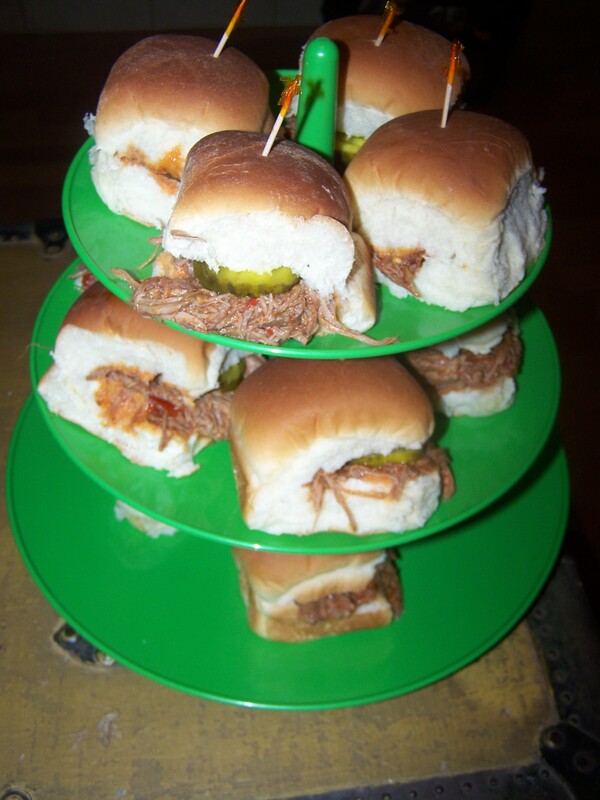 Entertaining tip: Dishes that provide height variation always enhance your food display. I love these, but I have two suggestions to try if you want! If you have a food mixer use a sturdy beater (see http://www.shopkitchenaid.com/-%5BKSMC50B%5D-400131/KSMC50B/). 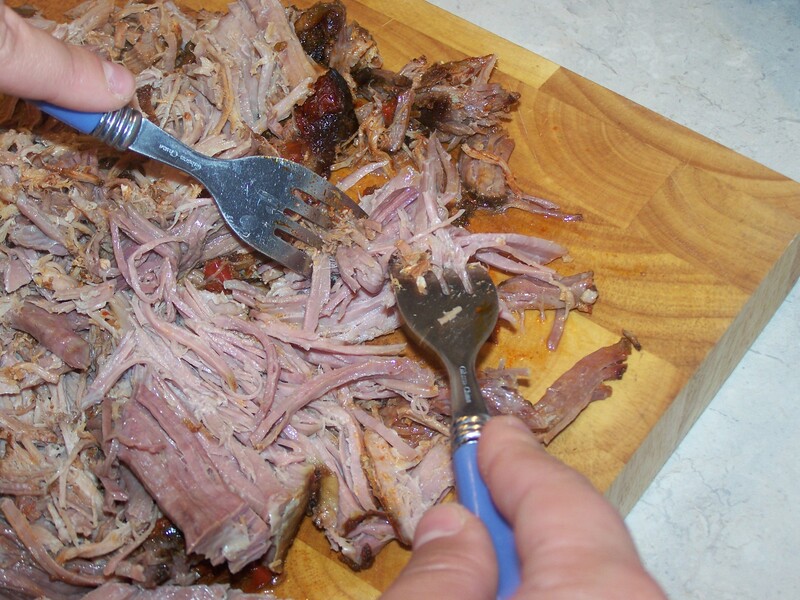 Once your pork is done, instead of using a fork to shred just throw it in the mixer and it will do it for you! This helps when you’re doing large quantities for social gatherings, etc. This also works for chicken if you’re in to chicken salad like me. Also, once I assemble the slider I put them on a flat pan and throw them in the oven on broil for 2-5 minutes so you get a crisp bread. It’s delightful! Those are great tips!! I do have a mixer, but I don’t know if I’d want to dirty it up for a job as simple as shredding meat. Plus, I kinda like the fork action. I hadn’t considered putting them in the oven to crisp though. That would add an amazing crunch. Thanks for checking out my blog and for commenting! No problem! I’ve enjoyed reading through your blog and will continue to do so. Like I said, using the mixer is only really necessary if you’re doing very large quantities for big parties, etc. Keep up the great posts! This looks and sounds so friggin good!!! Def gonna try! Thank ya sista! They really are.